At KS, the safety of our students is a top priority. 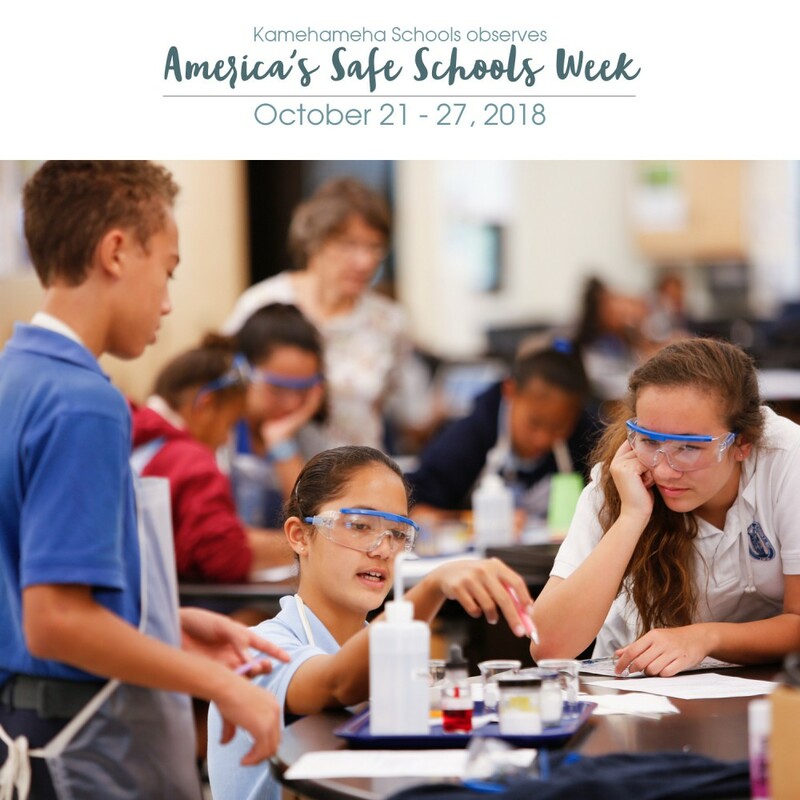 We are taking a proactive approach to student safety including providing awareness and prevention training for haumāna, ʻohana and kumu. Kamehameha Schools is recognizing Safe Schools Week by sharing important tips, resources and tools that can equip our haumāna, ‘ohana and kumu with helpful information on fostering safety and well-being. Students, families, officials, faculty and policymakers across the nation are collaborating to ensure that our schools are safe environments for learning. Safe Schools Week is recognized annually during the third week of October. At KS, the safety of our students is a top priority as we put keiki at the center. We are taking a proactive approach to student safety including providing awareness and prevention training for haumāna, ʻohana and kumu. For more information about the KS commitment to student safety, including resources available to students and ‘ohana, or to report potentially dangerous behavior affecting students, visit our student safety website.